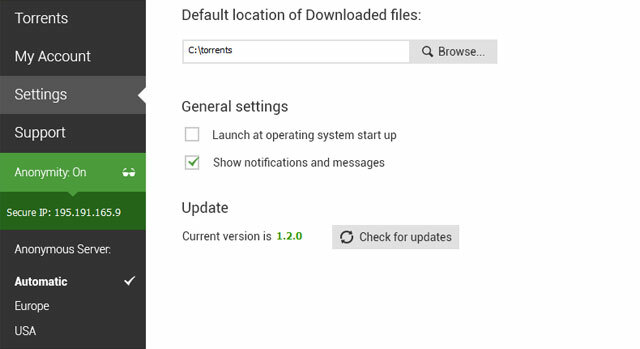 Your real IP is hidden and you are given a new one. We don't store any logs. 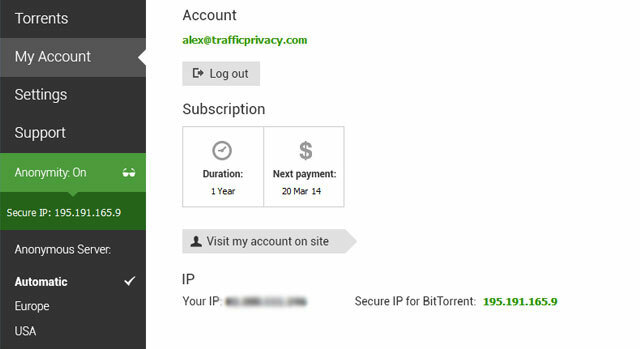 Moreover we use sophisticated algorithms for hiding BitTorrent traffic. We don't limit the connection speed, so you have a unique opportunity to use all the resources of the encrypted channel. Download content from your favorite sites around the world! 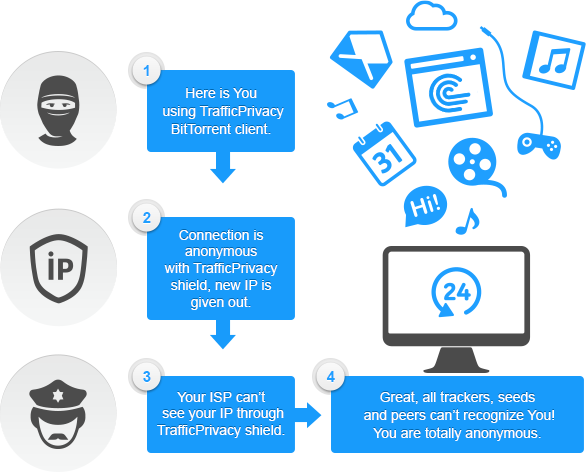 With TrafficPrivacy anonymous BitTorrent client there are no limits for you!